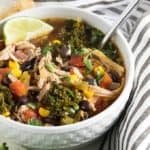 By using a store-bought rotisserie chicken (or using leftover chicken), this Southwestern Chicken and Vegetable Soup comes together quickly and easily! 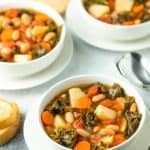 I am all about a big bowl of comforting soup, especially in the wintertime. I told myself I’d try to eat healthier in the new year (I was sooooo bad this holiday season!) 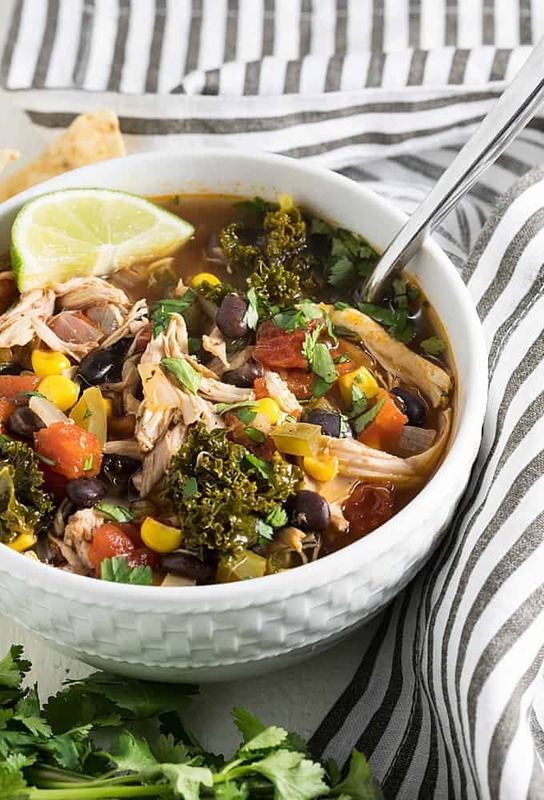 and this soup is just that: healthy comfort in a bowl. 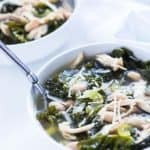 You can make this recipe even healthier by using low-sodium chicken broth and low sodium diced tomatoes. 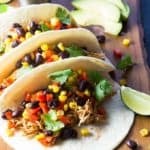 Although I loved the flavor of the chili powder and cumin, feel free to adjust the amounts to your personal preference. 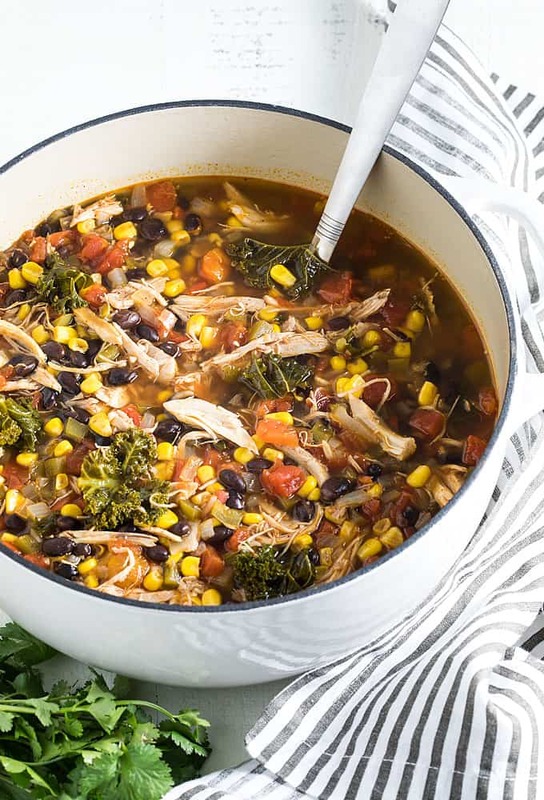 Full of chicken, corn, black beans and kale… you just can’t go wrong with this hearty soup. 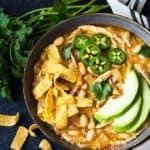 Oh, and it’s great with tortilla chips! Heat olive oil over medium heat in a dutch oven or soup pot. Add onions and bell pepper. 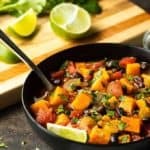 Cook for approximately 6 minutes, or until vegetables are softened, stirring frequently. Add garlic and cook an an additional 30 seconds, or until fragrant. 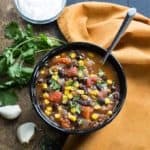 Add chili powder, cumin, tomatoes with juices, chicken broth, black beans, corn and chicken. Season with desired amounts of salt and pepper. Stir to combine. Increase heat to medium high and bring to a boil. Reduce heat to maintain a gentle simmer. Cover and simmer for 15 minutes. Add chopped kale, stir to combine and cook for an additional 5 minutes, or until kale is tender. 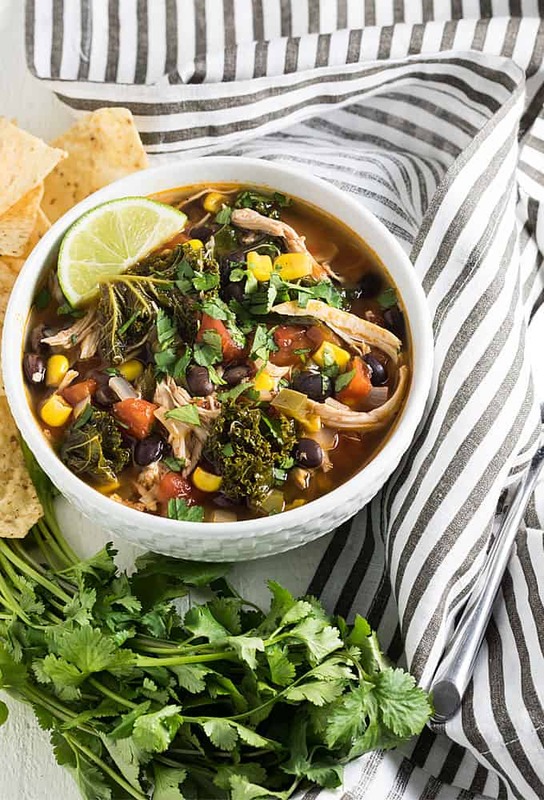 Top with desired amount of lime juice and fresh chopped cilantro.